Rent Festival Pavilion | Corporate Events | Wedding Locations, Event Spaces and Party Venues. 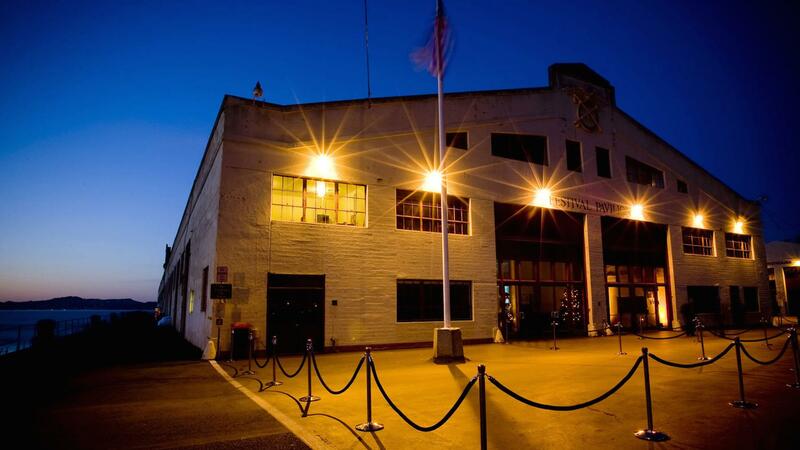 The Festival Pavilion, the largest venue on the Fort Mason Center for Arts & Culture campus, extends over San Francisco Bay and provides a spectacular location for festivals, trade shows, exhibits, and conventions. At 50,000 square feet, the venue offers space for up to 3,800 people and features iconic views of Alcatraz and San Francisco Bay. For larger events, the Pavilion may be used in conjunction with several other venues for breakout options.